The DEW (Distant Early Warning) Line was a string of radar stations built along the northern coasts of Alaska and Canada in the 1950's. Their purpose was to provide warning of Soviet bombers coming in over the North Pole. 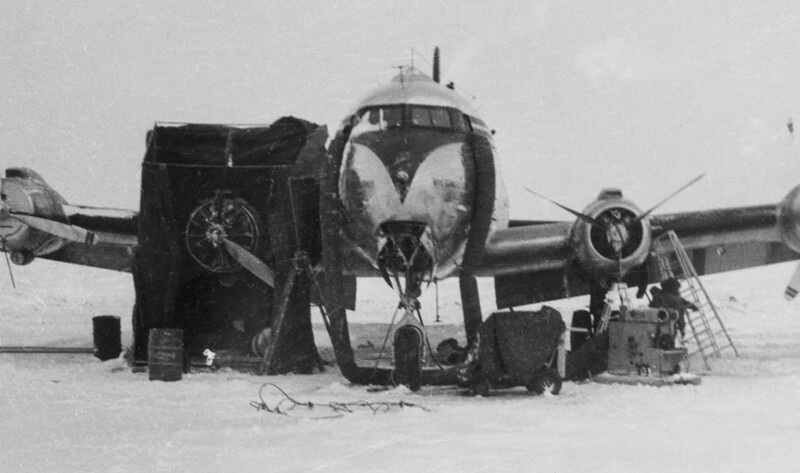 Operations, which included landing on frozen lakes, were often extremely difficult due to weather conditions. 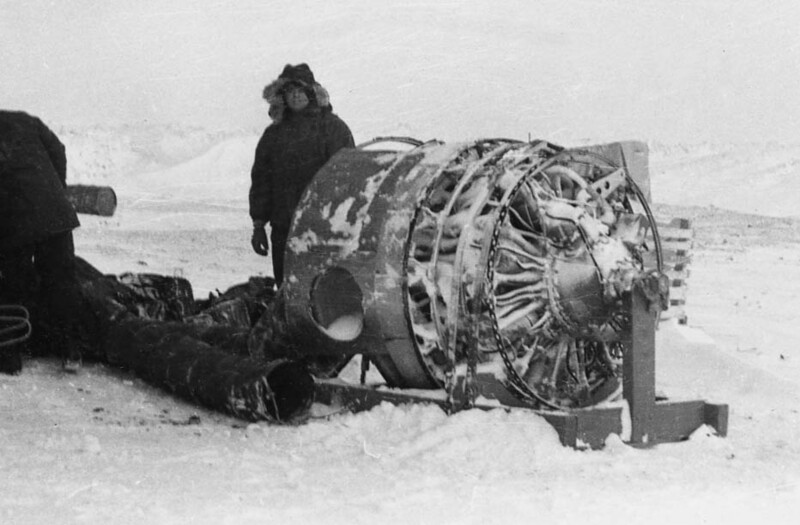 These two photos show a double engine change in appalling conditions. Notice the feathered propeller on the number 2 engine. The photos attest to the sometimes underappreciated efforts of Seaboard's maintenance people.